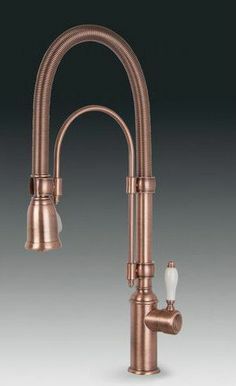 Your next kitchen faucet will have a prominent place in your kitchen both aesthetically and functionally. 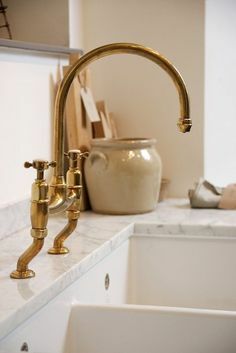 It’s elevation above the sink makes it a focal point, so it is important to select a faucet that is visually appealing and fits the design you’re creating. In practical terms, nothing in your kitchen will get more use. The kitchen faucet is turned on and off more than 25 times per day in most homes, so installing a quality faucet will help ensure smooth operation in the years ahead. 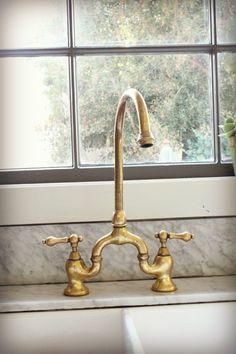 This page is an introduction to our series of Kitchen Faucet Guides that will help you research faucets before selecting one that will provide the form and function you want in your kitchen. 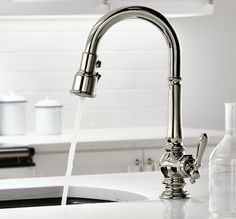 Which Type of Kitchen Faucet is Right for You? Our faucet guides provide a wealth of information about all of today’s top-selling faucet types. There are some overlaps in these faucets. For example, pull down faucets might be single hole or double hole. They could be touchless. Our goal is to give you an overview below of your options. Pull down kitchen faucets are also called pull out kitchen faucets depending on the direction of the spout. The faucet head detaches from the spout and has a hose attached. Most give you a spray setting for the water flow. Pull down and pull out kitchen faucets are available in many styles from traditional to modern, and they increase functionality without the addition of a separate sprayer. Wall mount faucets extend from the wall rather than rising from the sink or countertop. This requires running the plumbing into the wall, so kitchen remodelers are cautious about installing them on outside walls in very cold climates due to the danger of the water lines freezing. 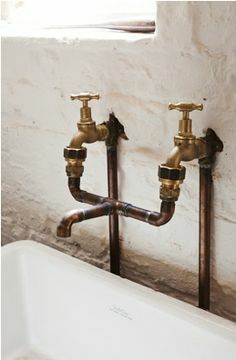 You’ll find quite a few styles of wall mounted faucets. Single hole kitchen faucets house the valves for the hot and cold water lines in a single body, though both one-handle and dual-handle single hole kitchen faucets are available. The water lines connect to the faucet very close together in the center. Again, there are quite a few styles, so you’ll find a single-hole kitchen faucet to fit your design. Two hole kitchen faucets are still the most common type, and single and double handle options as well as touch-free faucets are available. The water lines attach on the left and right beneath the sink. A wide range of styles are available, and you’ll find all the details in the guides. 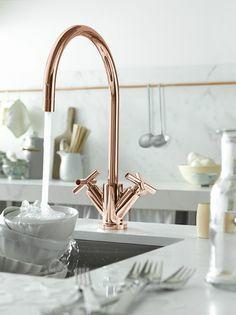 Bridge kitchen faucets feature hot and cold bodies rising from the sink or countertop with a bridge connecting them to the faucet spout. Bridge faucets are a variation of two-hole faucets, and they’re available in a limited range of styles. They are almost always 2-handle faucets, and some of them require three holes in the sink or countertop. As the name implies, waterfall kitchen faucets feature a spout that broadens to create a wide stream of water. Sometimes the spout opens onto a platform, and the water cascades off of it like a waterfall. More common for the bath, waterfall faucets for the kitchen are produced in unique, interesting styles. 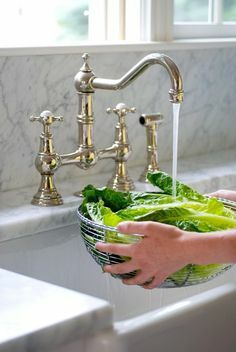 Vessel faucets are another style more commonly found in the bath, but a few kitchen styles are offered. Most feature a single body and one handle. They are often used in conjunction with a vessel sink, and hence the name. 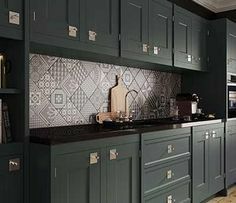 While stylish, the combination presents challenges in the kitchen. Touchless kitchen faucets use motion sensors to turn on and off, so you don’t have to grab the handle with a soiled hand. They are produced in many different types including pull down, one-hole and two-hole kitchen faucets. There are variations of each too. For example, bronze is available in satin, English, oil-rubbed, Venetian and other varieties. Polished, satin and antique versions of other finishes are common too. Become an educated buyer with our guides that cover all the essential factors for making your decision. The guides are a great way to compare faucet types head to head. The Kitchen Faucet Buying Guide is a comprehensive guide to making a purchase you will be satisfied with in the years to come. The guide covers pros & cons of each type of faucet, tips for choosing a faucet to fit your kitchen design and an overview of kitchen faucet prices. The Kitchen Faucet Removal & Installation Guide is full of tips for doing the work yourself or for discussing the work with a kitchen remodeling contractor. The Kitchen Faucet Repair Guide provides how-to details for the repair of the most common types of faucets. Many can be repaired quite easily by replacing a valve or cartridge, and we’ll help you save money by doing it yourself. Our popular Pinterest pages are full of inspiration for your kitchen! The Pinterest kitchen faucet page will help you explore the styles and features you want in your next faucet. When you’re ready to get kitchen faucet estimates or bids for an entire kitchen remodeling project, we can help. The service we offer includes free estimates from three of the top kitchen installers in your area. You fill out one convenient form, and the contractors will provide you with competitive estimates to do the work you need. There is no cost or obligation for using the service.